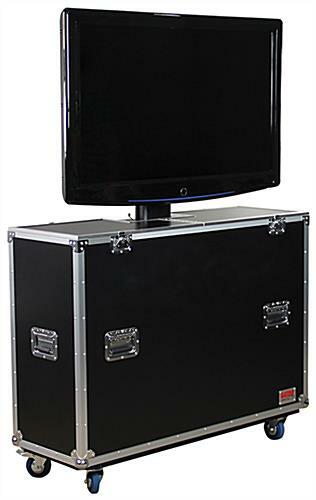 This TV shipping case is the ideal transporting unit to have for your LCD flat screen. 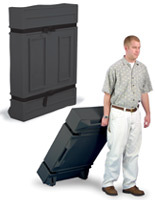 The unit comes with a remote control and a self-contained electrical power cord for the hydraulic mechanism. 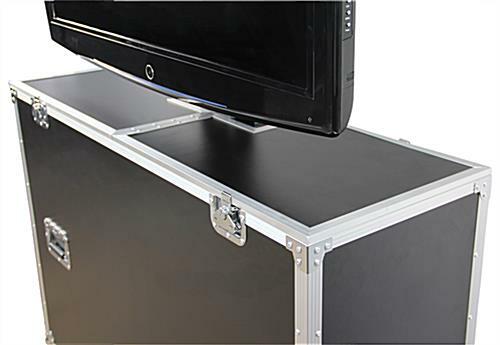 The shipping case with an electric lift adjusts to height up to 60 inches to hold your plasma screen at an optimal position. 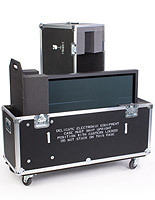 While in use, the laminate exterior container has a collapsible lid to place below the monitor mount give the product a clean look when doing presentations. 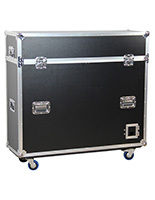 The shipping case includes a thick plywood construction and a laminate exterior for increased durability when transporting your LCD flat screen. 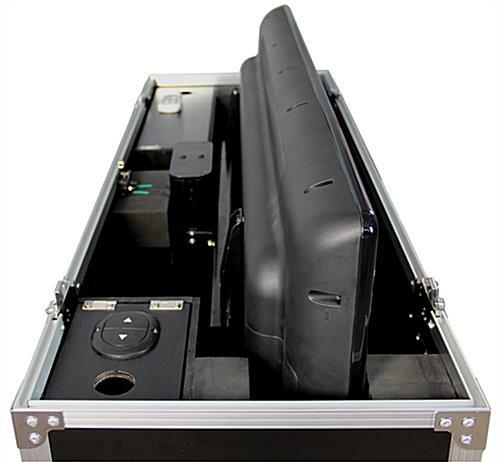 The bracket has a maximum vesa size of 400 x 400mm, to hold the most common sized plasma monitors or other displays. 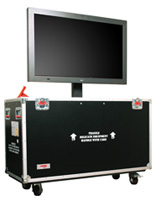 Take your flight ready cabinet to your next trade show to promote new products and get a leg up on the competition! 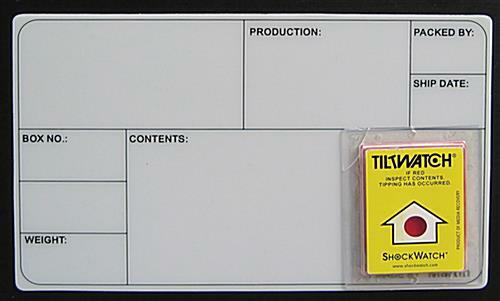 49.0" x 46.8" x 16.9"
46.1" x 36.0" x 5.0"
For a tv sure, for a touch screen, no way! 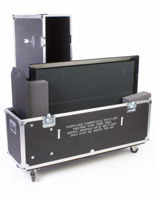 We acquired this case for a touch screen 42" monitor. 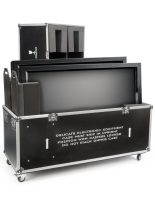 The case cannot hold a touch screen monitor because it's max capacity is 40lbs. 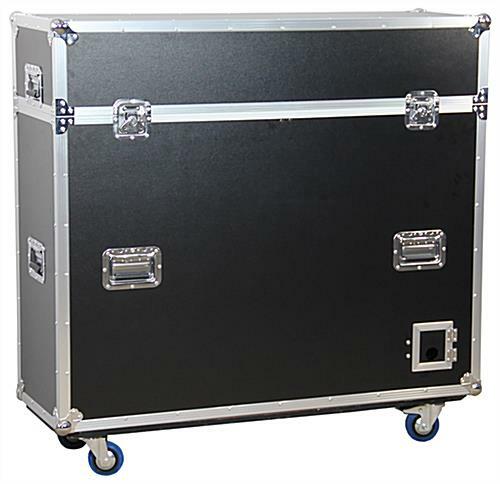 Not to mention, the case received external damage after 1 shipment. The brackets broke due to the monitor weight. 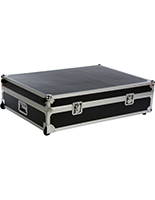 But the outside case itself was punctured. The hydraulic does not work. 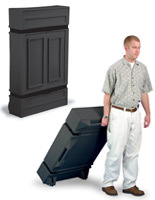 An expensive case to have bust within 1 use. Hi Morgan, Thank you for making us aware of your experience and can certainly understand your frustration. We'd like to help, so one of our customer care specialists will be reaching out to assist. Thank you for your patience!